One of the last books I read during my ’50 books in 2018 challenge’ was L’appart by chef and writer David Lebovitz. He tells his story of buying an apartment in Paris and embarking on a renovation that turns into a nightmare. This book gave me all the flavors of France I could have hoped for through Lebovitz’s descriptions of the food he picks up in the market to the recipes he includes for his take on French desserts. 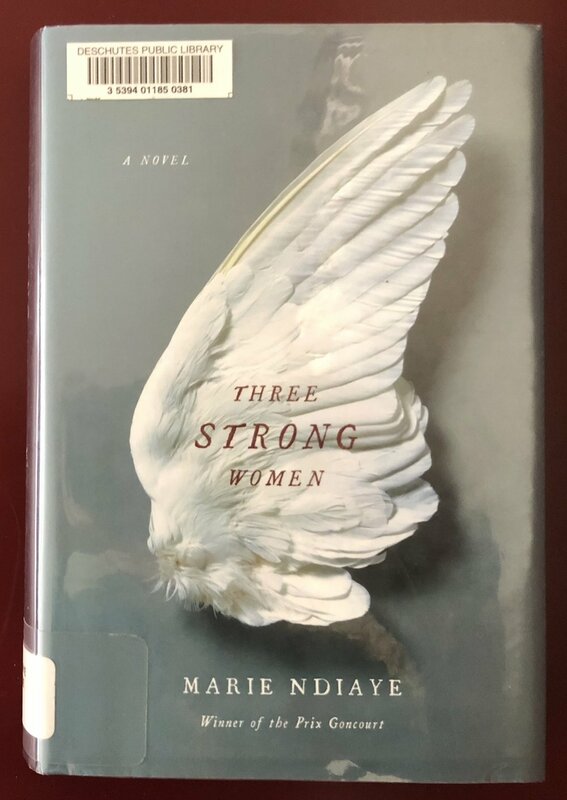 When deciding on a French book to read for this current project, I wanted to find something different than a chronicle of life in Paris and I definitely succeeded by picking up Marie NDiaye’s Three Strong Women. NDiaye won the Prix Goncourt in 2009 for Three Strong Women. The Prix Goncourt is one of the most prestigious awards in French literature, given to the author of “the best and most imaginative prose work of the year”. NDiaye’s prose is nothing short of imaginative! The book includes three unique stories, loosely connected through their female characters. The stories alternate settings between France and Dakar, which mirror a bit of NDiaye’s background with a French mother and Senegalese father. This book could be the furthest you can get from a story about drinking wine and eating baguettes in the French countryside (not that there is anything wrong with doing either of those things!). NDiaye’s style is long, sweeping sentences that bring you into the thoughts and neurosis of the characters she writes about. What’s unique about this book is that while she tells the complex stories of women dealing with major life issues, she brings their stories to life not only through their own thoughts, but also through the thoughts of others. This review in The Guardian captures the essence of the three stories far better than I could. I liked this book. It was challenging to read since her style is different from what I’m used to, but I was impressed by the incredible emotion she was able to convey through her storytelling.